The entire team of Digital Rights Foundation is ecstatic to share that our very own Nighat Dad was in Arusha, Tanzania to speak at TED Global 2017 on August 28. Nighat spoke about her own struggle to safely access the technology and how that struggle led her to make things easy for other women in the country. She talked about her dream of a reclaimed online world for women where they're not harassed for expressing their opinions and for making their voices heard; the dream that made way for her to establish Pakistan's first Cyber Harassment Helpline. Nighat represented the people of Pakistan on a stage as prestigious as TED and received an overwhelming standing ovation from the audience. For Nighat and for the entire DRF, the inspiration comes from these very people who we represent - the people of Pakistan. The support that our people have given us throughout our journey of making the internet safe and accessible for everyone is what keeps us going, and we'll do whatever it takes to achieve the dream that benefits us all because the road is long and the fight isn't over yet. "These women, who pretend to be okay when nothing’s alright, are the women I look up to. They are the strong ones who give me strength and power to speak up for them and soldier on. And my struggles and efforts for the open and safe internet are dedicated to them and their unfettered courage and resilience." Here's to the strong people of Pakistan. The Cyber Harassment Helpline is ecstatic to announce that it has expanded its operations to seven days a week. Previously our capacity allowed to us cater to calls five days a week--from Monday to Friday, but building on the success of its first nine months of operations we are able to provide more urgent and timely services. Read details here. August 2017 marked one year since the Prevention of Electronic Crimes Act 2016 (PECA) was passed by the National Assembly. Did the Act fulfill its stated aims? Are online spaces any safer or has it resulted in online self-censorship? DRF published a review of the Act’s progress through a short analysis and illustrative timeline which can be accessed here. 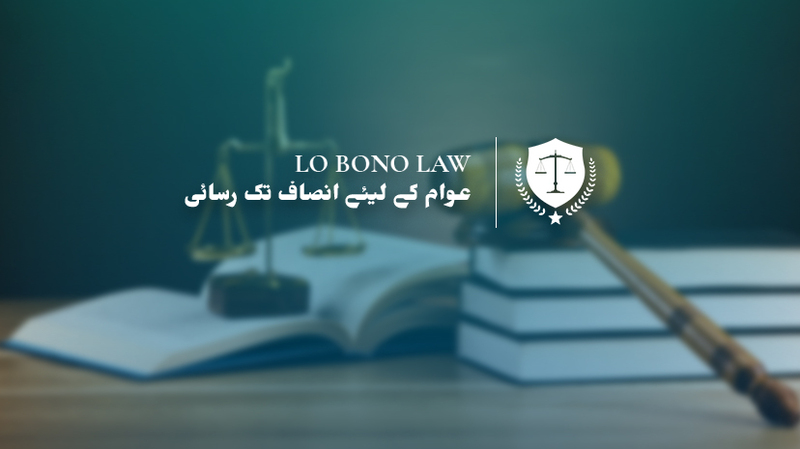 Our Cyber Harassment Helpline signed a Memorandum of Understanding (MOU) with the Karachi-based Lo Bono Law which a law firm established to provide cost effective quality legal services to those who cannot afford high costs of litigation. It provides quality legal services to indigent clients. DRF can now refer callers to Lo Bono as part of its referral system, continuing its aim to provide more comprehensive legal services to victims of online harassment. Find out more about Lo Bono here. On August 24th, DRF took part in a Punjab IT Board (PITB) Focus Group Discussion on Cybersecurity. Organised by Techhub Connect, the discussion focused on the dire state of Pakistan’s cybersecurity infrastructure, and the need of the government and tech industry to address threats to national tech infrastructure. The discussion also looked at the lack of sufficient awareness by the public regarding cybersecurity practices and awareness regarding privacy etc. The discussion, which included IT researchers and senior telecoms executives, also focused on and introduced the creation of a Punjab Cyber Emergency Response Team (P-CERT), and invited feedback concerning the P-CERT team. DRF raised concerns that the FGD was not focusing on legislative reforms, and pushed for changes that reflected and respected the rights of citizens. DRF also brought up that the overly broad Prevention of Electronic Crimes Act could risk discouraging people with the tech skills necessary for cybersecurity initiatives, eg White Hat hackers, because of harsh penalties. Cybersecurity, DRF remarked, needs to ensure that there is a balance between rights and security that does not limit the former, otherwise what is the latter protecting? Digital Rights Foundation and FNF organized the Hamara Internet workshop titled ‘ Our Right to Safe Online Spaces’ with civil society members in the month of August. The workshop focused on how civil society members can come together as agents of change and create online spaces that are safe for not just women but also other marginalized communities. The workshop also raised awareness around online safety amongst civil society members and educated them about the additional resources available to them in case of cyber harassment. Civil society members also discussed the implications of mental health and coping mechanisms in place for human right defenders. 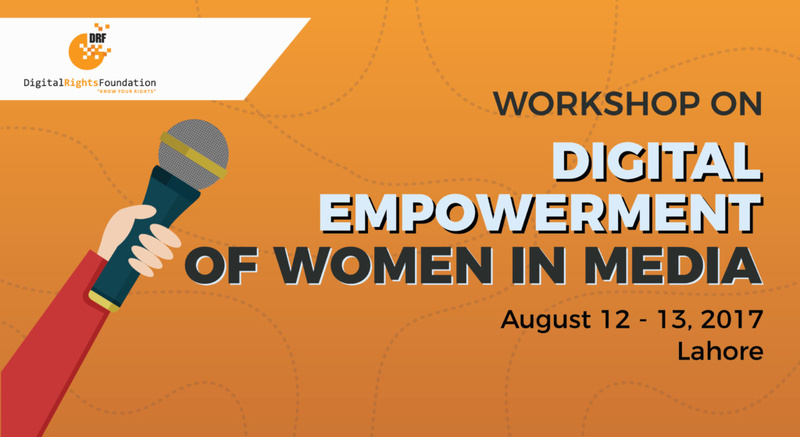 The team of DRF kicked off a 2 day basic online safety training course titled “Digital Empowerment of Women in Media” in mid August, in Lahore. Women in media from all over Punjab and KP were selected to participate in this session, which featured hands-on training with security tools especially designed to help journalists and citizen bloggers protect themselves in the digital age and ensure they can continue their mission of free and impartial reporting without facing aggravated personal risk for it. Based on our research published in December 2016, female journalists in Pakistan don’t feel safe expressing their opinions online, hence are scared of the consequences while simply performing their job. That's why the workshop also included a special portion on self care and mental health awareness throughout.